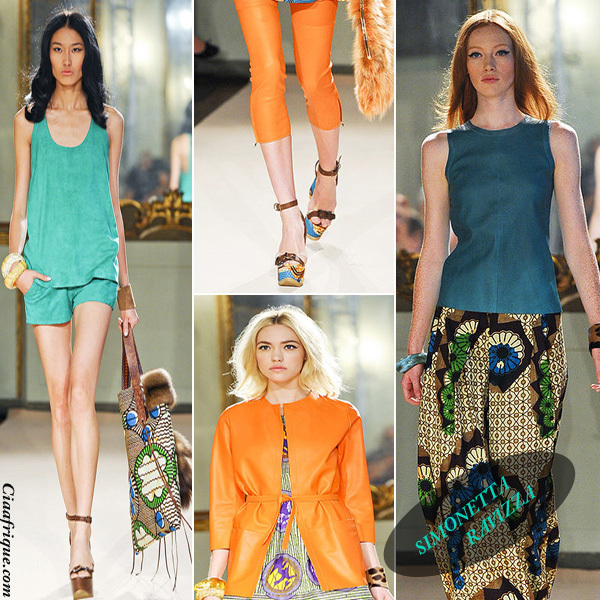 Simonetta Ravizza 2012 Spring collection was unveiled a couple of days ago during Milan fashion week.It was a very simple , chic and sophisticated African print collection.The models wore beautiful printed wedges and handbags to complete their look. This season we've seen African print in all the runways from NYC to London and Milan. I want to know what you think about the collection.